Print Floral Halterneck Maxi Dress is rated 4.0 out of 5 by 7. 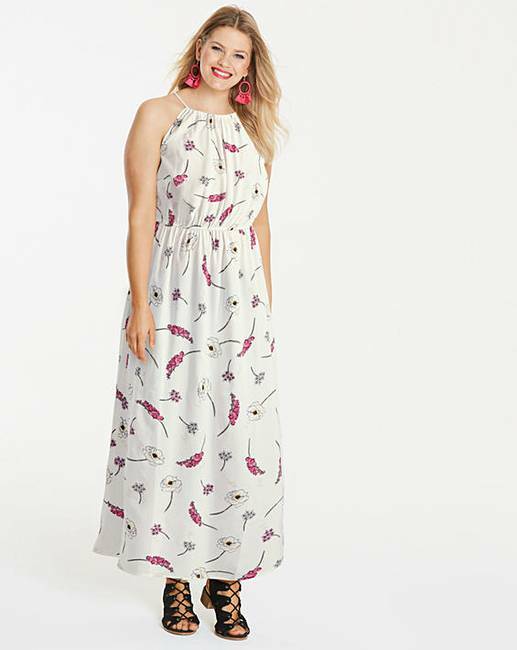 Halterneck maxi dress featuring a tie belt and tassel detail. 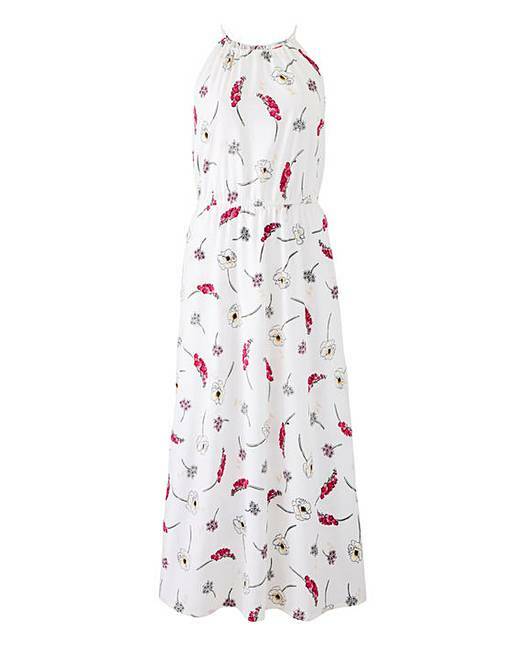 Adorned in a white based floral print, pair with block heels to create a stylish summer look. Rated 4 out of 5 by Mozzajnr13 from Lovely floral dress Overall lovely floral dress, good fit. However it is very see through which lets the dress down. Rated 5 out of 5 by Mazieboo from Gorgeous and floaty Bought during the heatwave but it’s rained ever since but I’m hoping for some late sun or wait til next year and I know it will look stunning.